A container is any vessel that contains samples as the core defines. Examples include a plate (96 well or 384 well), an 8-lane flow cell, or any other specialized configurations. Containers are used in the Advanced Sample Processing module. After clicking the "Administration" button on the Samples tab, go to the Container Types section and choose "New Container Type". 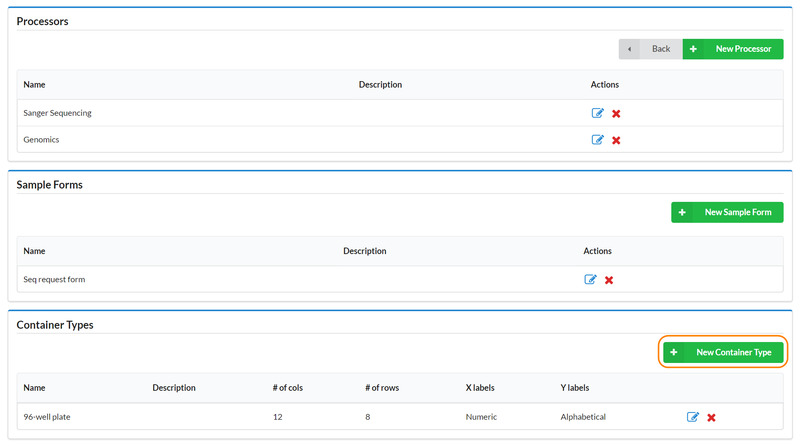 You will be presented with options to help customize the configuration of your container. Grid Preview: A you are configuring your container, you will see the changes to your container displayed in real-time at the bottom of the screen in the Grid Preview section. Once you have entered all the values into the required fields, click "Save" button to finalize the creation of your container. Alternatively, you can click "Cancel" and the container type will not be created. 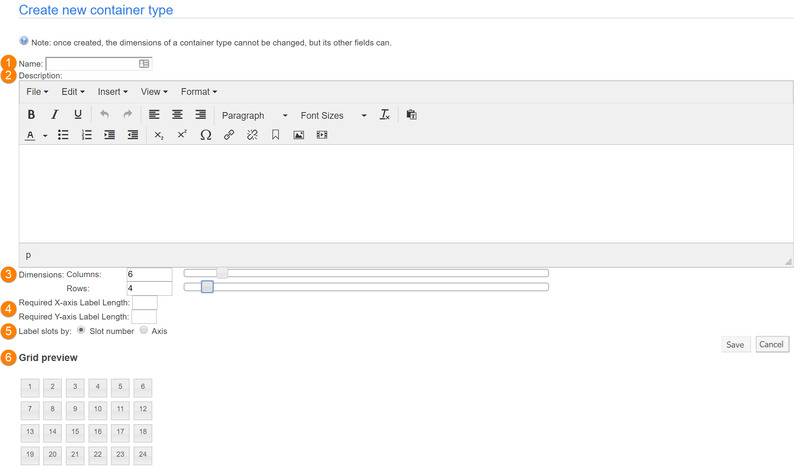 Once you have completed creating your container type, click the "Save" button in the bottom right corner of the page.